The British Conservative government have moved forward with plans to impose a lower maximum betting limit on in-shop fixed-odds betting machines, ministers have announced. Betting shops will likely have to put the measure in place following a 12-week consultation that is due to conclude in the new year. Widespread pressure had been circling in recent weeks from the national media and anti-gambling campaigners over the betting terminals, which some experts believe is the reason for the rise in problem gambling. The maximum betting limit on betting machines in gambling shops is currently at £100 which can be spent on spins every 20 seconds, but new legislation is likely to lower that to either £2, £20, £30, or £50. “It is vital that we strike the right balance between socially responsible growth and protecting the most vulnerable, including children, from gambling-related harm,” said the Culture minister Tracey Crouch. The measures will be put in place once the 12-week consultation has concluded, which will aim at enhancing player protection to prevent high losses in short periods of time. The online gambling sector is already protected by sure measures, but betting machines, a fixture in high street betting shops, have long-awaited a review. However bookmakers across the UK have lobbied against the cuts, and have argued that the actions would cost 20,000 jobs, and £1.1bn in tax revenue. “We are pleased that the government recognises both the industry’s contribution to the wider economy and the progress made on social responsibility including player tracking,” read a William Hill statement in response to the measures. The fixed-odds betting machines differ from the traditional fruit machines that have been the furniture in pubs, clubs and cafes throughout the 20th century. Fixed-odds terminals offer computerised games with blackjack and roulette with pay outs according to the fixed odds. 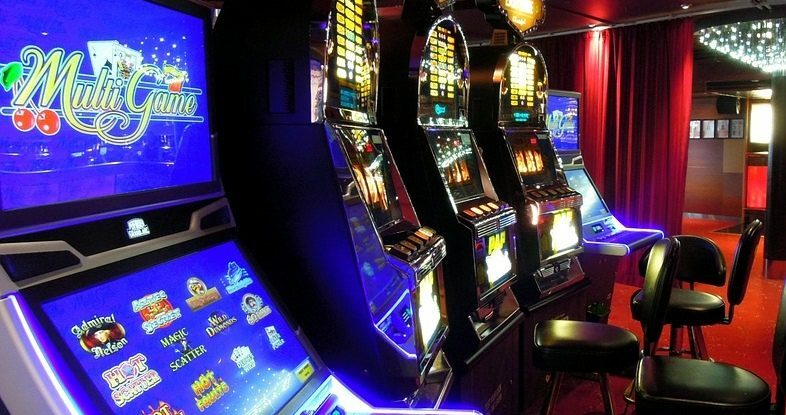 There are currently over 34,000 machines currently in use across the UK, according to the gambling commission, and 14,000 increase on 12 years ago. “People who are problem gamblers seem to be drawn to these machines. They’re on their doorstep. They’re on every estate in Britain. That’s why they’re so dangerous,” said Labour deputy leader Tom Watson.